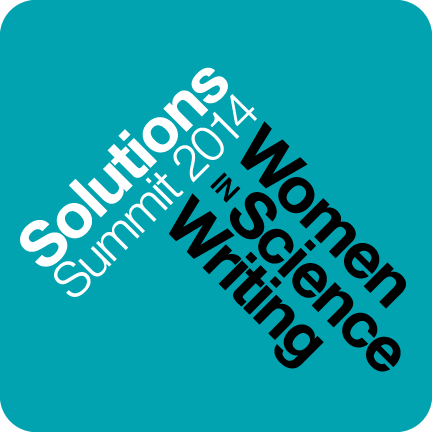 The weekend of June 14 and 15 in Cambridge, MA, members of the science writing community came together at the Women In Science Writing Solutions Summit to discuss how to go about achieving gender equity and eliminating sexual harassment within the field. Consultant Debora Bloom led the session “Sexual Harrassment: Recognizing and Addressing It,” and gave some helpful advice on what to do when one is harassed in an office environment, but ultimately left freelancers feeling unaccounted for. Many in the crowded room raised their hands. This echoed the data compiled in a survey of science writers by Karen Hess and Aparna Vidyasagar, two graduate students at the University of Wisconsin-Madison. Out of the 315 women and 96 men who were included in the analysis, 37.5 percent of women in the survey said they had been harassed, while 8.3 percent of men said they had been harassed. “There is a question about what the difference is between harassment and inappropriate behavior. There is no exact line; it’s a fuzzy line,” Bloom said. This statement, too, was mirrored by Hess and Vidyasagar’s data; although many of the 422 respondents agreed that “sexual advances” constitute sexual harassment (93.8 percent of women and 91.9 percent of men), a lack of context kept made it difficult for many to decide whether physical contact, jokes, remarks and personal stories could be characterized as harassment. As people debated each situation, it became clear just how muddy the issue of sexual harassment is. Title VII of the Civil Rights Act states that sexual harassment is a form of discrimination; Bloom defined sexual harassment as being “unwelcome sexual advances, a request for sexual favors and other physical or verbal conduct of a sexual nature” that interfere with the ability of a person to do his or her job. However, Bloom said the interpretation of specific instances as “harassment” remains at the discretion of the companies themselves and is dependent upon the laws of the states the companies reside in. Bloom offered guidelines for what a person should do if he or she believes her or she is being harassed, including assessing the situation, taking direct action, documenting the problem, reporting continued inappropriate behavior and mobilizing allies when appropriate. But these suggestions seem to mainly operate within the sphere of a company that has a human resources department; as many people in the session pointed out, freelancers may not have access to the power of the human resources department, a source could be the harasser, or the harassment could occur out of the office, such as at a conference. It was unclear the chain of command people should go through to seek help in these science journalism-specific situations. Alexandra Branscombe, a public information intern at the American Geophysical Union, was surprised at the lack of resources science writers have to combat these situations, but believes part of the solution is identifying where the disparities lie. Freelancer Matthew Francis echoed this sentiment, saying that because of how “professionally diverse” the community is, it may be difficult to find a blanket solution that covers everyone. However, he thought a freelancer’s union or organization might help. “If you were a reporter and you were harassed by a professor at a conference, then having somebody with a bit of clout to call up that university’s ombudsman’s office and file a formal complaint, that can mean a lot, just to know somebody’s got your back . . . It wouldn’t solve all problems, but it seems like if we don’t have companies that are sticking up for us, we need to stick up for ourselves,” Francis said. Some of the other suggestions for rectifying the situation included remaining vigilant as allies and advocates and calling out sexual harassment when it occurs, as well as making the sexual harassment policies of each media organization easier to find online. “It would be helpful if, as editors, we made sure there is language in our contracts for the expectations of people who are representing us in the field, and also how we expect those people to be treated during the reporting process,” Jennifer Bogo, executive editor of Popular Science, said. She added that she hoped staffers and freelancers would come to her, as a representative of her organization, if sexual harassment did occur, whether out in the field or within the workplace. “It would be helpful to bring some of those policies up into the light so we know what the chain of response is and what our expectations are,” Bogo said. Clearly, the science writing community has a long way to go in order to stamp out sexual harassment, but the Women In Science Writing Solutions Summit allowed the community to understand the gaps in protection against sexual harassment and discuss solutions that will help everyone, from freelancers to staffers, feel safe as they write about science. This entry was posted in Sexual harassment and tagged Chelsey Coombs, Debora Bloom, sexual harassment.